(Krimml – Bruck – Salzburg – Zell am See/Bruck). Mostly gently downhill as you drop in elevation from 1076 m in Krimml, to 425 m in Salzburg. There are only two uphill stages – both along the mid Salzach River (Schwarzach, Werfen). The Mozart Cycle Path is approx. 450 km in length. 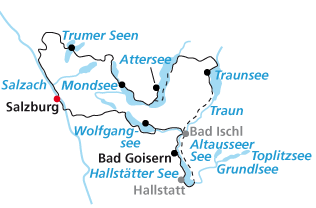 There are, however, connecting routes between St. Lorenz and Köstendorf, Laufen and Kössen, as well as Bad Reichenhall and Salzburg, making it possible to shorten various stages along the path. Visiting 10 beautiful lakes in the hills. Well, it is time to dust down your bike and get started today. The winter Mozart Kugels need to be replaced by rolling bike wheels. Get on the road soar like Falco does and let that Rock Me Amadeus! soak your spirits from head to toe. 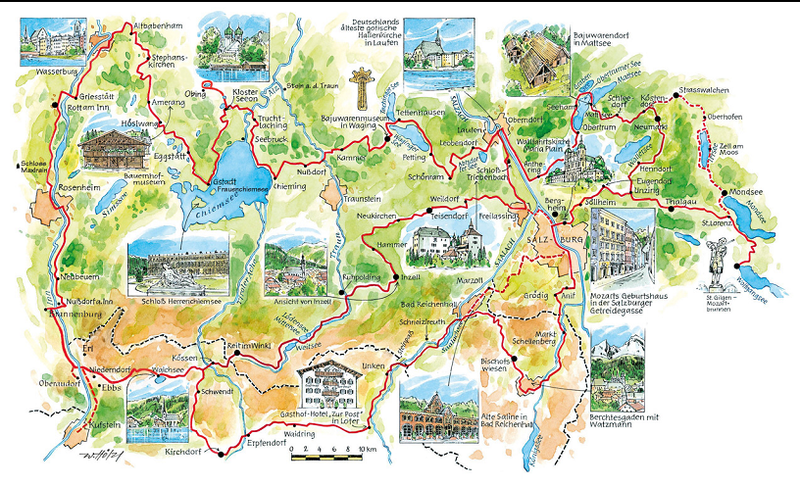 This entry was posted in Europe, Outside Hungary, Sport and tagged Austria, bike paths, bike wheels, cycle routes, downhill, Mozart, Salzach river, Salzburg, Salzkammergut. Bookmark the permalink.